Firstly, let’s squash my initial reaction that fat balls = greasy. That’s thankfully not the case. 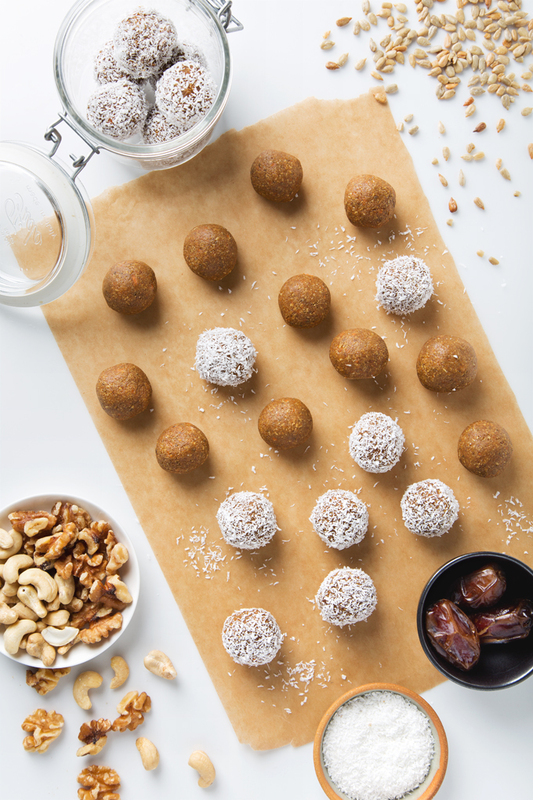 Fat balls are more like the Larabar-type snacks we’ve all been eating for years, but with a much higher proportion of nuts and seeds to dates. This makes them higher fat, higher protein, and a lot lower in sugar (even if it was “natural” sugar to begin with). They’re also high calorie and extremely filling. Truly, one or two is likely all you’ll want to eat in one sitting. 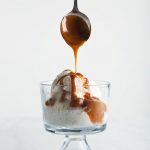 I’ve since experimented with a few different fat ball flavors, and the one I’m currently digging is carrot cake! 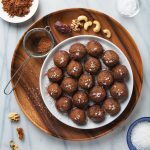 I’m obsessed with all things carrot cake (cupcakes, muffins, breakfast cookies…it never gets old for me) and I love these carrot cake fat balls because they satisfy my cravings in a really healthful, blood-sugar-balancing sort of way. They’re made from carrots, coconut, cashews, walnuts, sunflower seeds, chia seeds, and almond butter, spiced with cinnamon and ginger, and sweetened with only a few medjool dates and some sweet potato purée. Aaron thinks they taste like a cross between carrot cake and gingerbread. 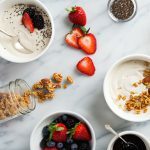 These take 15 minutes max to whip up and they’re great as a mid-morning or afternoon snack, post-workout treat, or even as a quick grab-and-go breakfast. One batch makes about 25 balls, which keep for a week in the fridge or a month in the freezer. I store ours in the freezer, then defrost a couple at a time as needed (3-5 minutes at room temperature does the trick). We’d love for you to follow us on Instagram! Tag photos you post of our recipes with #picklesnhoney so we can see. 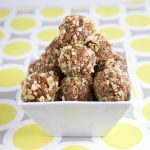 Easy vegan fat balls, inspired by one of my favorite desserts: carrot cake! 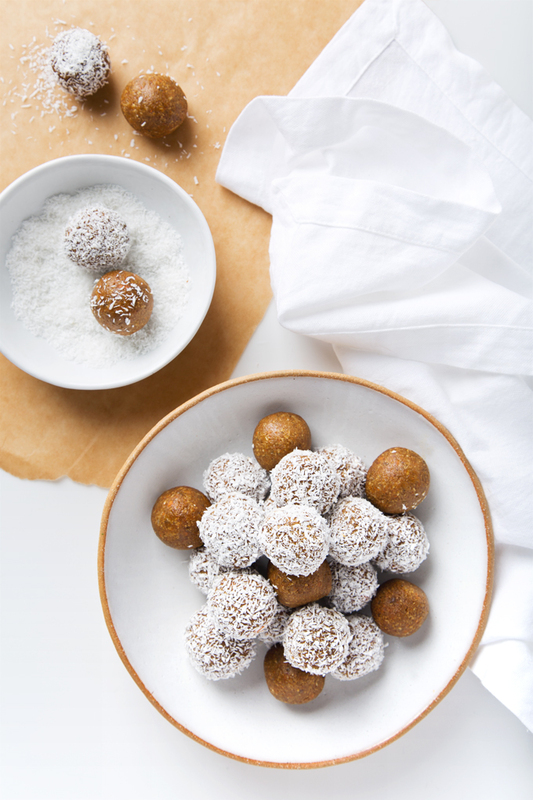 These filling snacks are made from carrots, coconut, lots of nuts and seeds, and they're naturally sweetened with a few medjool dates and some sweet potato purée. To the bowl of a food processor fitted with the S blade, add the shredded coconut, cashews, walnuts, sunflower seeds, chia seeds, cinnamon, ginger, and salt. Pulse until a fine meal forms (similar to an almond flour texture). 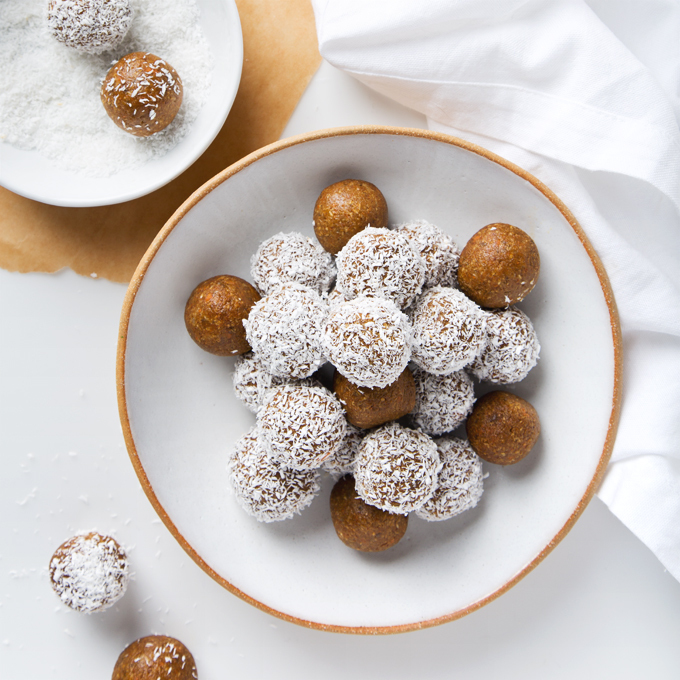 Use a cookie dough scoop or tablespoon to portion the mixture, then use your hands to roll it into bite-sized balls. If you'd like, roll the balls in shredded coconut to coat the outside. Store in the fridge in an air-tight container for up to a week, or in the freezer for up to a month. If you freeze them, let soften at room temperature for 5 minutes before enjoying. A drippy almond butter works best here. I like the 365 brand from Whole Foods. These are intentionally just barely sweet with no added sugar. If you prefer them on the sweeter side, add 1-2 more medjool dates. Filed Under: Snacks COPYRIGHT © 2019 Amanda Maguire. All Rights Reserved. BEST. POST. EVER. That is all! Please remove me from your mailings! The least u could do is give us an option to be removed. Hi Barbara, There is an “unsubscribe” link at the bottom of the email. I have also manually removed you from our email list. I made these over the weekend and they turned out awesome! I agree with Aaron about carrot cake and gingerbread flavors. These are going to be my afternoon snack this week. Thanks! That’s so great to hear, Jessica! Happy snacking! Carrot cake makes me weak in the knees. lol! Pinning to make soon! Looks delish and I had to hold in my laughter at my desk so my co-workers don’t think I’m crazy. You’re too funny! I’m making these later today after I get home from the gym! Too funny! I’m glad you appreciated the post. These will be so perfect after your workout! Def making these later this week! Loved your post so much. I needed a good laugh! haha I know you do! They sound great! But surely a more appealing name is in order? haha You can call them whatever you like: Bliss Bites, Snack Bites, etc. Per my recipe post, I went with fat balls because it cracks me up!